First conceived in 1908, the jinxed dam took 55 yrs to become a reality. It was dedicated to the nation in 1963. Hailed by Nehru as the new temple of resurgent India, it changed the profile of the region, heralding prosperity. Its golden jubilee falls on October 22. Elated at the construction of the Bhakra Dam, a Punjabi lyricist penned a beautiful folksong in the 1960s, capturing the mood of the people: “Bhakre taun aundi ik mutiar nachdi, udhe kanna vich bijli de tar jagdi” (A dancing maiden descends from Bhakra Dam, her ear lobes glowing with a wire of power). The iconic dam played a vital role in bringing a positive change in the agricultural economy of Punjab, Haryana and parts of Rajasthan. It made a significant contribution in ushering in the Green Revolution that coincided with the commissioning of the dam. But it also created problems on the environment front. The canal system led to seepage at some places, causing perennial waterlogging. 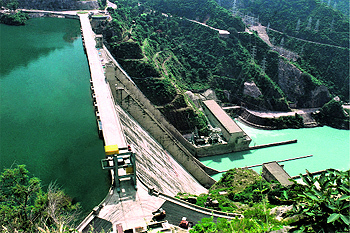 The opponents of big dams often challenge the notion of the dam’s contribution in Green Revolution and industrial development. Before 1697, the limits of the recorded human experience, going back to the origin of man, had cemented a fact — that swans are white. That year, the black swan was discovered in Australia, posing a philosophical question about the validity of knowledge. Sachin was hit on his face by Waqar Younis on the final day of the Sialkot Test in 1989. It was his fourth Test and sixth innings. He was shaken, but according to Navjot Singh Sidhu, the non-striker, he was angered and even responded to Younis’s tirade with a Marathi cuss word. He had been bounced very regularly by Pakistan fast bowlers, and umpire John Holder even warned Akram for intimidatory bowling. 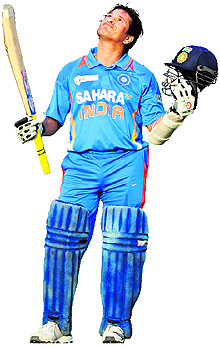 Sachin showed, for the first time to international players, that he was made of steel. It’s unthinkable that Sachin Tendulkar will no more play cricket. He’s been around for so long and has played the sport with so much authority and dignity. Sachin has played more international cricket than anyone else, for 24 years. He suffered some serious injuries that affected his batting style, though not his passion. How did he remain match-fit? Who will fill his shoes at No. 4 in Tests? A momentous occasion is around the corner and people are, understandably, a little apprehensive. Will the sport ever be the same again? Can someone fill up the void that Sachin will leave in Indian cricket and their lives once he walks away into the sunset? The completion of Bhakra Dam, one of the highest straight gravity dams in Asia, was one of the most significant moments in Independent India. October 22, 1963, is a red letter day in post-Independent India. On this day, the then Prime Minister Jawaharlal Nehru dedicated the dam, one of the highest straight gravity dams in Asia, to the people of the country. Nehru had in fact fallen in love with this project. He visited it about 13 times and ensured that dignitaries coming to India visited the dam site. Among some of the dignitaries were Chou En-Lai, Chinese Premier, Khrushchev, a Russian Communist leader, Lady Mountbatten and Lord Attlee of Britain. The dam has an interesting history. There were many slips before it came into being. It took at least 55 years for it to come about. The idea to build a storage dam across the Sutlej first came to Sir Louis Dane, Lieutenant Governor of Punjab, in 1908. One morning he left on a tour from Simla and travelled along the Sutlej from Sunni to Bilaspur, and further to Nalagarh and Ropar. On the last leg of the tour, he put a note in official files on November 18, 1908, regarding the building of a storage dam across the river. Though the seed of the dam was sown, it took a very long time to sprout. In November 1909, Chief Engineer Gordon visited the area and supported the idea of the dam. When its cost — Rs 3 crore — was worked out, the project was declared unviable and dropped. A few years later, AN Khosla, who later became the Chairman of the Bhakra Board of Consultants and also the Orissa Governor, identified the axis of the dam at the Bhakra gorge in July 1917. “Though the dam was built many decades later, it was raised at a site located by me,” he wrote in his diary. Khosla and other engineers completed the project report and submitted it to the authorities concerned in 1919. Its cost of construction was pegged at Rs 3.94 crore. Along with the dam, the canal system was also planned. The estimated cost of the entire project was Rs 14.43 crore. However, the project was shelved again and preference was given to construct the Suleimanki Headworks (now in Pakistan) near Fazilka in 1921. AJ Wylie, a river dam expert, was invited to Punjab in 1927. The Wylie Committee submitted its report in 1927. A special subdivision was set up in 1932 to prepare the fresh project report. The project again failed to take off. It was the severe famine that hit south-east Punjab in 1938 that brought back the project proposal on the discussion table. On May 3, 1940, the canal system was approved to take water to the famine-hit region. However, the sanction was withdrawn because of World War II. The British thought that with irrigation facility in the famine-hit area, the recruitment in the army from these areas would be affected. In 1940, Sir Sunder Singh Majithia, Revenue Minister of Punjab, proposed a new idea at a review meeting. He argued that the height of the dam should be raised to 750 ft in the project report. His plea was that each drop of water should be used for irrigation and to generate electricity. The proposal was later accepted and the dam was built to a height of 740 ft. The Wylie panel had kept its height at 500 ft. Majithia died soon after and his place was taken by Sir Chhotu Ram, a legendary farmer activist. As he belonged to the famine-hit area of Rohtak, he showed extraordinary zeal to get the project implemented. But there was a problem that had to be tackled first. The raising of the height of the dam meant that a substantial part of Bilaspur state would be submerged. Khosla was deputed to talk to the then Raja of Bilaspur and succeeded to secure his consent in 1941-42. The making of a new Bilaspur was also proposed. The terms of agreement were accepted in 1945. Khosla, who took over charge as the Chief Engineer and Secretary to the Government of Punjab, invited design engineers from the US for technical advice and to conduct geological investigation. Pritam Singh Kumedan, civil officer in the 1960s and an expert on river waters, says the provision of funds for the project was made in the budget of 1946-47. But the Partition hit the project. Only 15-20 per cent irrigation facilities were left with Punjab, the remaining went to Pakistan Punjab. To meet this challenge, it was decided to take up the project immediately to utilise the Sutlej waters and maximise the area under irrigation. Priority was given to the canal system — Nangal Hydel Channel, Bhakra Mainline Canal and its offshoots — which were completed by 1954. Water was released into the canals on July 8, 1954. In September 1950, the Bhakra Control Board was set up with Punjab Governor CM Trivedi as its Chairman. The first decision of the board was to handle the project work entirely through Indian engineers with the assistance of engineers from the US. In 1951, MR Chopra was sent to the US as a technical counsellor of the Indian Embassy to source technical experts for the project. Khosla also visited the US and contacted MH Slocum, a top expert in dam building, for the project. Slocum, who later became Nehru’s friend, agreed and came to India in 1952. The first bucket of concrete was laid by Nehru on November 17, 1955. Slocum, whose monthly expenditure was Rs 500, made an immense contribution to the project. “His heart and soul was Bhakra Dam. He was a motivator and disciplinarian,” Khosla wrote. Nehru gave him carte blanche to procure anything for the project without bothering about official procedures. Slocum had brought in about 120 US engineers and other experts to supervise the construction. He died of a cardiac arrest on November 11, 1961, when the dam was about to be completed. Some feel the country did not recognise his service the way it should have. Nehru dedicated the dam to the nation on October 22, 1963. They say engineers and other lobbies have created a myth about the contribution of big dams to the economic development and prosperity of the country. They argue that Bhakra is an “over-designed” dam that had no dramatic effect on food production. Their plea is that the social, environmental and financial costs of big dams are more than their contribution to the economy. Claiming that the model of big dams was copied from the US, they say the Bhakra project led to the displacement of 36,000 families from 446 villages in Himachal Pradesh in 1956. For long, these families were not given possession of the land allotted to them in neighbouring states. They assert that groundwater mining (tube wells) was instrumental in sustaining the Green Revolution, and not the dam. But it is a fact that with the construction of the dam and remodelling of head regulators passing water to the pre-Bhakra canal system, the canal irrigation system — lifeline of agriculture — became more dependable, leading to a rapid rise in the area under cultivation, and also production. In 1960-61, the area under paddy in joint Punjab was just 2.27 lakh hectares. In reorganised Punjab, it increased to 3.90 lakh hectares in 1970-71 and 11.83 lakh hectares in 1980-81. It almost doubled in the next decade. After the dam, the area under paddy saw a rapid rise. The area under wheat was 14 lakh hectares in 1960-61, but went up to 23 lakh hectares in 1970-71 and 33 lakh hectares in 1990-91. However, the area under pulses and oilseed decreased in semi-arid lands. Originally, the dam was built to provide water for irrigation and control floods. Generation of power was not on the agenda. It was in 1942 that the proposal for five hydro electric units was mooted by the then Executive Engineer, SD Khungar, and his associates. However, the idea did not find favour with many. “This led to undue delays in decision making, procurement and installation of power units,” wrote AN Khosla, who was involved in the planning of the project since 1915 and also headed the Bhakra Board of Consultants. The demand for power in Punjab was only 20,000 kW in 1947. Even the Central Electricity Commission had opposed the setting up of power generating units at the dam. The Bhakra Beas Management Board (BBMB) later upgraded the power units, the capacity of which is now 1,361 MW. From Bhakra, the water flows 13 km down to the Nangal Dam through the Sutlej. From there, Nangal and Anandpur Sahib hydel channels take off. Two units on the Nangal Hydel Channel have a generation capacity of 155.30 MW. The power generated at the dam is called zero-cost energy as there is no expenditure on fuel. The generating system is operated with the harnessed force of power. The BBMB claims due to the project, 128 towns and 13,000 villages have been electrified. The net area irrigated with the canals originating from the reservoirs fed by the water from the Bhakra is 65 lakh acres in Punjab, Haryana and Rajasthan. “The Sirhind and Bhakra canal systems have stood as vanguard against famine and drought not only in Punjab, Haryana and Rajasthan, but the entire country by contributing foodgrain substantially to the Central pool,” wrote Awtar Singh, former Chief Engineer, Canals, Punjab. “Utilisation of the Sutlej waters through the Sirhind canal was 4.70 million acre feet (MAF). After the Partition, with assured supply of water from Bhakra, it went up to 13 MAF. As per the BBMB water account for 1986-87, the use of the Sutlej waters in reorganised Punjab through the Sirhind canal, Bist Doab and Bhakra canal system was 7.12 MAF. In Punjab, the utilisation from the Sutlej has increased by about 52 per cent since 1947-48,” he had stated. The irrigation facility increased to 24 lakh acres in Punjab and Haryana through various canal systems. The Sirhind Canal, built in 1870s, is the oldest canal in the region. Before the construction of the dam, the water-passing capacity at the canal head regulator in Ropar was about 9,000 cusecs. After the dam was built, the regulator was redesigned to increase its capacity to 12,625 cusecs. The Sirhind Canal, which would dry up in winter, became perennial, leading to changes in cropping patterns. In 1950s, Punjab set up a Cropping Planning Commission in view of the availability of assured additional water for irrigation. Dam led to the rapid rise in food production. It provided perennial irrigation facility in the region. Area under wheat and paddy increased manifold. Brought power to 128 towns, 13,000 villages. ‘Over-designed’ dam had no dramatic effect on food production. Canal system led to seepage at some places, causing perennial waterlogging. Tube wells instrumental in sustaining Green Revolution. Displaced 36,000 families from 446 villages in Himachal. 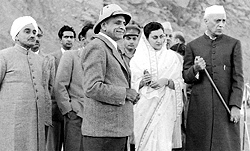 Jawaharlal Nehru with Indira Gandhi at the site of the dam. ‘Madhuri’ became popular in the 1990s because of actor Madhuri Dixit. But it was associated with the dam much earlier. Operation Madhuri was undertaken to save the under-construction project from disaster in 1959. There was a rupture and the vital parts were flooded. The Army put boulders to control the leakage. Before 1989, the limits of sporting experience, going back a couple of centuries, had cemented a fact — that a boy of 16 can’t spank men. That year, Sachin Tendulkar played for India and spanked men twice his age. He had an excellent technique — he could hit the ball equally well on both sides of the wicket and straight; he had an almost perfect sense of balance, and wonderful footwork; he had courage and temperament. But what we really, really loved him for was his attacking strokes. So young, and so fearless! A defensive Tendulkar wouldn’t have been a nation’s darling. The Black Swan theory, fascinatingly posited by Nassim Nicholas Taleb in his 2007 book, discusses the role of unexpected and immense events in history — World War I, end of the Soviet Union, 9/11 attacks on the US, the rise of the Internet. All of them, completely unexpected, changed history. Tendulkar, to cricket and India, was something of a Black Swan — perhaps a Golden Swan. His impact — despite his shyness, one-dimensional life, passivity, deference to authority and hierarchy — on cricket, and on India, was massive, even unimaginable. He qualifies as the Black Swan — he was an outlier, his impact was incredibly high. Sachin celebrates his birthday with wife Anjali. With his children Sara and Arjun. 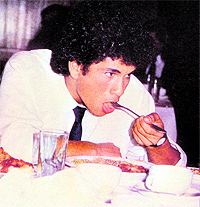 Sachin, 16, dines during his first tour of Pakistan in 1989. With Manjrekar at a fancy dress party in Pakistan. Bats during the Pakistan tour. After his 100th international century. With the World Cup trophy in 2011. The 1980s had been a terrible decade. There were riots across the country. Punjab was in flames, and Kashmir began to burn, too. The middle classes lost their trust in their great hope, VP Singh, following the implementation of the Mandal Commission report. The Ram Janambhoomi movement was launched, and religious communities were polarised. Politics seemed polluted — the last of the freedom fighters were almost all gone; the professional politician was very different from them. The 1990s began with the collapse of the Nehruvian model of economics; the decimation of Communism around the world, especially in the friendly USSR, left Indians in doubt. New brands appeared in the market, several iconic ones began to disappear, or be consumed, by multinationals — HMT watches, Weston TVs, Bata shoes, Premier car, Campa Cola, etc. The razing of the Babri Masjid, and with it the ideals of ‘unity in diversity’ and supremacy of law, shook India, as did the Mumbai blasts and the riots that followed. India shifted from idealism towards pragmatism; after decades of disengagement, we established relations with Israel, signifying lessening of support to Palestinians. The Harshad Mehta and Jain Hawala episodes left the system and the leaders bereft of public trust. The centre didn’t hold, the bottom fell off. There was complete loss of trust in everything, except in one man, who became god in a time ripe for deification. India loves gods — deification is a national trait among believers. This was true in the western world, too — the European too had royal families deemed to be divinely ordained to rule; to this day, the Queen of England heads the Church of England. Atheism, though, has knocked the legs off deification in the West. In India it prospers — ‘godmen’ abound, politicians are made into gods, as are actors. Gavaskar was near-god, Tendulkar was made god without a single actual display of a god-like quality — the real God, surely, can do things more significant than hitting a divine straight drive. When the sport faced its greatest crisis, the match-fixing scandal of the year 2000, many top Indian players were revealed to be corrupt. Tendulkar was the most certain assurance to fans that everything was not lost, that the biggest pillar of Indian cricket was also the strongest. There were many other factors that thrust God on Tendulkar; the explosion in the TV and the media industry meant that his amazing feats were transmitted to more people, for more years, than any other sportsperson — or arguably, any person — in history. India’s population, despite becoming more knowledgeable, arguably became more susceptible to manipulation. We as a nation are getting younger. In 2011, 80 per cent were 45 or below. That’s mind-boggling. We’ve been bombarded by PR-fed images on TV and print media, like no generation before. If Tendulkar didn’t exist, the media would have invented him — a genius who actually was a role model. Industries need such people to be used in the very profitable art of marketing goods. In the US, they actually invented such a god, a genius who was a role model — Tiger Woods. He was kind and perfect and homely, the beloved of advertisers, before the charade ended and his weakness for lovely blondes other than his wife became public. Tendulkar, though, was really real — a humble genius. The advertising industry loves him, the BCCI loves him, for he put his craft above confrontation or controversy. He’s shy and quiet, but unfailingly polite and courteous. The rebel batsman was/is an obeisant man-child. His aggressive batting paralleled India’s economic awakening; his humility resonated with the ancient ideal, as depicted in the great epics, of the self-abjection of the mighty. His visits to temples, recorded faithfully by the media, confirm to the people his piety and, consequently, his righteousness. The flip side is that due to this, Tendulkar has made no significant utterance in his life. He possibly possesses great depth of the mind, but he’s yet to present evidence of it. Just once, the power of his words became visible. In 2009, questioned in the context of the rising Marathi chauvinism and anti-‘outsider’ sentiment, he said: “I am proud of being a Maharashtrian, but Mumbai is a part of India and I play for India.” Bal Thackeray attacked him for this. He, in turn, got it from Tendulkar fans and beat a hasty retreat. It’s not clear if Tendulkar fully realises what he means to people; his appeal gives him an opportunity to transcend cricket, become significant in life out of the field. For that, he has to sup less with the tycoons and marketers and more with artists and activists. Incredibly, he fulfilled the prophecies made about him when he was 16; yet, despite his genius, Tendulkar-deniers exist in very vast numbers. Even his lovers, who love him for being correct and orthodox and attacking as a batsman, rue at what might have been — Tendulkar arrived as a fearless attacker, reminiscent of his idol, the great Viv Richards, but quickly subsided into an accumulator of runs. That was what the team needed, for he was its backbone for the first 10 years of his life, but the fearless attacker, a romantic figure, was lost. He also carried the burden of hopes of more people than anyone else in the history of cricket. The strain was often visible. But he carried on with poise and grace, often reverting to his attacking best. His batting had classical beauty and unorthodox inventiveness. He had perfect balance at the crease; if he didn’t have a single trademark shot, that was because he played every shot perfectly. As a bowler, he could do it all — seam the ball, spin it both ways. To the end, he remained a quick fielder with a strong arm. He was magic. All this made him a phenomenon that never was, an entity that couldn’t be predicted. There won’t be another such… but, as Taleb warns, never say never. Well, maybe there will be another Sach. I still remember that incident. Ajit had come to watch me for the first time. India were in a fragile position in the second innings at 39 for 4 when I got hit. I had been hit on the nose in school cricket on bad practice wickets, an experience that had got rid of the fear. So when I was hit by Waqar that only got me more competitive. I decided not to move from the middle and continued to fight. I put up a brave face. We had two of the best fast bowlers. Waqar and Wasim were in their prime. On those wickets, I thought this boy could get seriously injured. You didn’t feel like competing against him. I didn’t have to tell Wasim or Waqar to bowl bouncers; they would have done it, especially because of his height. We had to terrify him. He wouldn’t have faced such quick bowlers in India. That was the fastest wicket I have ever seen, with so much grass. He was hit on the nose, and there was a deep cut. I ran to him with the physiotherapist. He was a little fazed, but came out of it in a snap. He said ‘I’m okay, just leave.’ He simply sprinkled some water on his face, took the guard and started playing. He hit the next ball for a four. We were doddering. Imran had told the groundsman if he cut the grass, he would cut his throat. The first went through him. I thought he’s gone. Then a vicious bouncer. The ball hit Sachin. The first thought that came to my mind — mar gaya chhora. There was blood all over his shirt. He was attended to by the team doctor. Then I heard him say, Main khelega. I knew the next ball would be full to knock out his stumps. But he anticipated it and drove it back. It went under my feet for a four. Waqar glared at him, but Sachin looked back at him in the eye, and uttered something in Marathi. There were tears in his eyes. But after that, the way he played and attacked Waqar Younis, it was clear he had the courage to play at the top level. I did not intend to hit him. The ball just kissed his nose and didn’t hit him that hard. It bled a little, but he quickly brushed it off and started batting. He managed to get 50-odd runs, but those runs showed that he was a class act. Sachin was a strong character. When I saw him for the first time, it was clear that he was extremely talented and aggressive. He played in Pakistan against our very good bowlers and played wonderful strokes, which was amazing because he was only 16. That sort of aggression, that confidence to play your shots are the signs of a great player. One can’t really say how much would a player achieve when he’s just starting. I think it’s a lie when someone says that one saw a certain player as a child and predicted that he would be a great player. Cricket is a sport in which so many players came and did well only in one series. So many players made 100s on their debut, only to disappear. 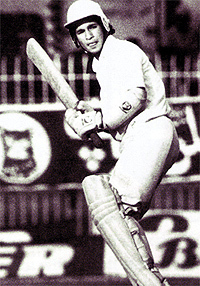 Tendulkar played a very aggressive innings in an exhibition match, hitting Abdul Qadir for four sixers. It was as if that innings had been played by a mature and experienced player. You don’t judge a player by one innings or one series. But the fundamentals were good, his technique was good. Something about him suggested he was going to be good. That was the only time I played a Test series against him. It was clear that he was going to be very good. He was very courageous too. In the Sialkot Test, he was hit by a very fast ball from Waqar Younis (who also played his first Test in that series) but went on to help India save the Test. At that time one could only say that they were very talented and had a good future, but both went on to prove themselves. It was obvious that Sachin was just a kid, but his class and technique were evident. His ability was visible. But to prove himself, it was his own hard work that helped him, nothing else. The best part is that he’s a very dedicated batsman. In Sharjah, I remember he had a problem with his batting, and asked me if I had the time to discuss it with him. Despite his achievements, he has remained a learner all his life. In cricket you can make 200 one day and zero another day; so you have to learn and improve your game. If you can’t solve your problems, your career is finished. A cricketer does nothing except work hard on his game — it involves hours of hard work every day. I never thought about anything other than cricket. Sachin has a similar ‘junoon’. He is an example before the younger players. He’s a book to be read — you can’t learn from a computer or a printed book; you have to learn from a book like Sachin. He was in love with the sport. You can’t reach the top if you don’t love what you are doing. If you love a person, you would do anything for her or him, make sacrifices, even the sacrifice of your own comforts and happiness. The same is with sport — you have to love the game to be able to make sacrifices for it. It’s then you learn and improve, devise new strategies, prepare yourself for new challenges set up by your opponents. If some player thinks that he’s very great and superior to the others, why doesn’t he score a 100 or 200 in every innings? That’s because even the greatest players make mistakes, some errors do creep into their games. That happened with Sachin too, but he always worked hard to improve himself. There are only good things to be said about Sachin. One thing I really admire about him is his humility despite his achievements. If you remain humble, you would be willing to learn and listen to good advice, and you would succeed more. This was true for other players like Dravid and Ganguly as well. They treated their senior players like gurus. I would tell them, you guys are scoring 200 runs, and are asking me for advice! They would reply that you are a guru. They still wanted to learn. 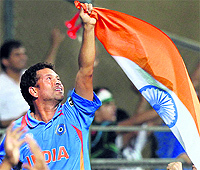 Sachin retires as the best possible role model for the present and the coming generation of cricketers. One man has the answer — Ramesh Mane, aka Mane Kaka, the Indian team masseur. Mane has been with the Indian team for seven years. He is an “I was there” witness of the ups and downs of Sachin’s recent years and treasures many untold stories. He is the man who has seen Sachin worship his bat, kept next to the pictures of Gods. Sachin doesn’t play cricket, he worships it. “Once I went to his hotel room and saw him praying to his bat. You can imagine what cricket means to him,” he says. 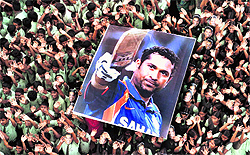 After Tendulkar announced his retirement, the Indian and international media glorified him. But for Mane, he is just a human being who knows what laughter is and how painful is someone else’s pain. Here’s some good news to cheer up despairing fans — the great man is leaving Indian cricket in a far better shape than he found it. The team is the current world champion, won the Champions Trophy recently, and was the top dog in Test cricket not too long back. Yet, he will be missed for his pristine batting; for the numerous joyous moments he gave us for over two decades; for being a constant in Indian cricket and the collective consciousness of the nation for so long. Will he be missed on the field, too? Well, not as much, for two simple reasons. One, he has been past his prime for some time now and the team has learnt to live and win without him, at least in the ODIs; two, there may not be another like him again but the team’s collective strength is good enough to compensate for his individual brilliance. The team no longer depends on an individual too heavily, like it did on him for much of the 90s. Yet, it needs to be asked, for sentimental as well as practical reasons, whether there’s anyone in the side who people could look up to in the same manner. Can someone take his place in the ODIs and at No. 4 in Test matches? Even if we never get another Tendulkar, there’s good news, at least in the ODIs. The world champion squad is jam-packed with several match winners capable of accomplishing the amazing feats that the master blaster achieved. Virat Kohli, MS Dhoni and Yuvraj Singh are as good players as any other. It’s in the Test arena where India may struggle. 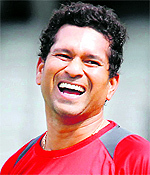 Even if Sachin has been a pale shadow of his former self for the past over a year, his mere presence was reassuring. So is there anyone worthy of his slot? There may not be someone quite ready yet to make up for his absence, but there are a couple of names who have shown both promise and talent. The first among equals to be anointed Tendulkar’s successor in Tests is Virat Kohli. The dashing Delhi youngster has proved himself in the ODIs — he’s ahead of even Tendulkar in terms of runs and hundreds at the corresponding stage of their respective career — and is steadily growing in stature, too. He has the technique and temperament to become the mainstay of the side, the qualities brought out in ample measures by his 100 in Adelaide last year. The fact that he has no apparent weakness, neither against pace or short-pitched deliveries that trouble our batsmen abroad, and is intensely competitive, strengthens his case. While he may be diametrically opposite as a person to the legend, there’s a lot of common ground between them as players. Cheteshwar Pujara has shown the calibre to make it big in Test cricket. The Rajkot run-machine has made the most of the opportunities, and there’s no reason why he will not continue to raise the mountain of runs and become the mainstay, just like Tendulkar. Rohit Sharma wants so desperately to succeed. While having not made the most of his undisputed talent, he seems to be coming around. “This is just the beginning. I want to score much more and play a lot more long innings,” he said, after smashing an unbeaten 141 in the epic chase in Jaipur against Australia. Tendulkar’s departure won’t leave the Indian cupboard bereft of talent. The question is whether they have the intense desire and dedication that turned the little boy into a legend. Duration of his Test career, the fifth longest career ever. scored in international cricket, a record. in first-class, List A and T20 matches put together. He's the 16th batsman to aggregate 50,000 or more career runs. scored in Tests batting at No. 4. He has scored 4,502 runs more than the next batsman on that list, Jacques Kallis. in international cricket, 29 more than the next batsman on the list. in 1998 international cricket. The first of only six batsmen to score 2,500 runs or more in a year. in international cricket against Australia, the most any batsman has scored against a team; has hit 10 or more centuries against Australia, Sri Lanka and South Africa. in 1998, the most a batsman has scored in a single year. in nineties, double the number for the next batsman on the list. in consecutive Tests, one of the 14 batsmen to do it. He's hit 1,000 runs or more in a calendar year in Tests. Also holds the record for scoring the most ODI runs in a year (1,894 runs in 1998). Man-of-the-Match awards won in his career, a record. He won 14 awards in Tests and 62 in ODIs. Fours hit in Tests, the most by any batsman. Age at which he scored his first Test century, against England. The second youngest to hit a century. in consecutive Tests, one of the only five batsmen to hit fifties in 10 or more consecutive Tests. Partnership runs with Sourav Ganguly in international cricket, the most by any pair. partnerships with Ganguly, the most by any pair. Against which he scored 1,000 or more runs. One of only two batsmen to achieve this feat.